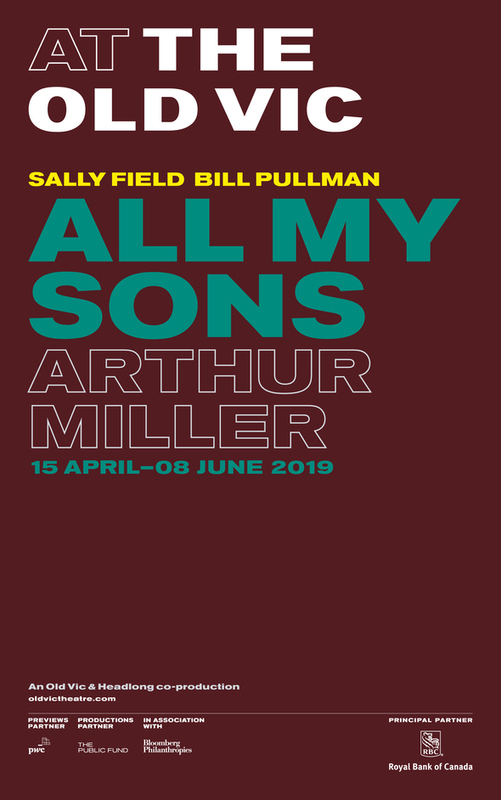 The second in an Arthur Miller double-bill, The Old Vic presents an all-star production of All My Sons. Co-produced with Headlong and directed by Jeremy Herrin, the production sees Sally Field, Bill Pullman, Jenna Coleman and Colin Morgan star in the piece that cemented Miller's reputation as one of the most influential playwrights of the 20th Century. Set in 1947 America, the play follows Joe and Kate Keller, who have beaten the odds to raise two sons and establish a thriving business. However, nothing lasts forever and long buried truths are forced to the surface, threatening the end of the family's American dream. What are the best dining options near All My Sons London? All My Sons gyms, sporting activities, health & beauty and fitness. The best pubs near London All My Sons. All My Sons clubs, bars, cabaret nights, casinos and interesting nightlife. Where to have your meeting, conference, exhibition, private dining or training course near All My Sons. From cheap budget hotels to luxury 5 star suites see our discounts for Old Vic Theatre hotels, including Hampton by Hilton London Waterloo from 83% off.